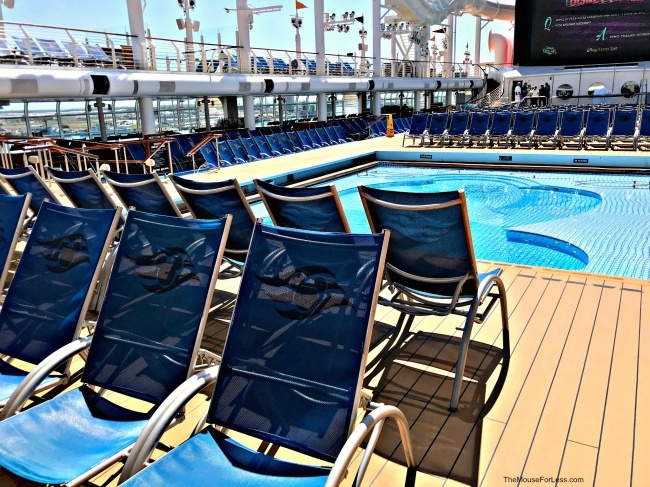 Not only are cruise ships growing larger, but the activities onboard are expanding, too. 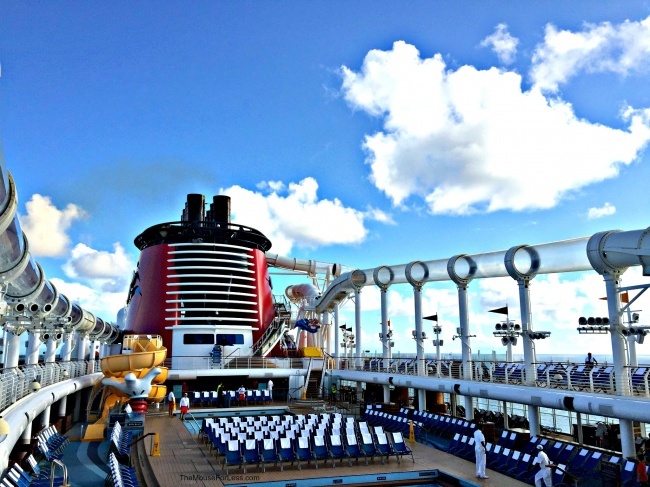 Disney Cruise Line Recreation takes activities up a notch by adding Disney characters and Disney features while still maintaining the feel of a classic ship. 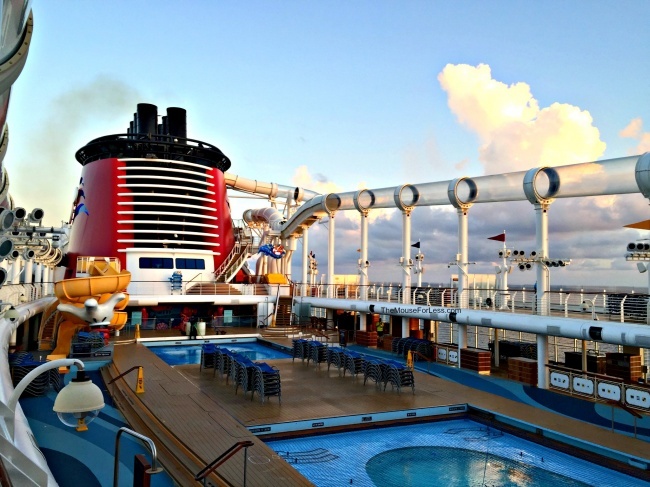 There is so much to do while on a cruise, that the ship itself becomes the destination. 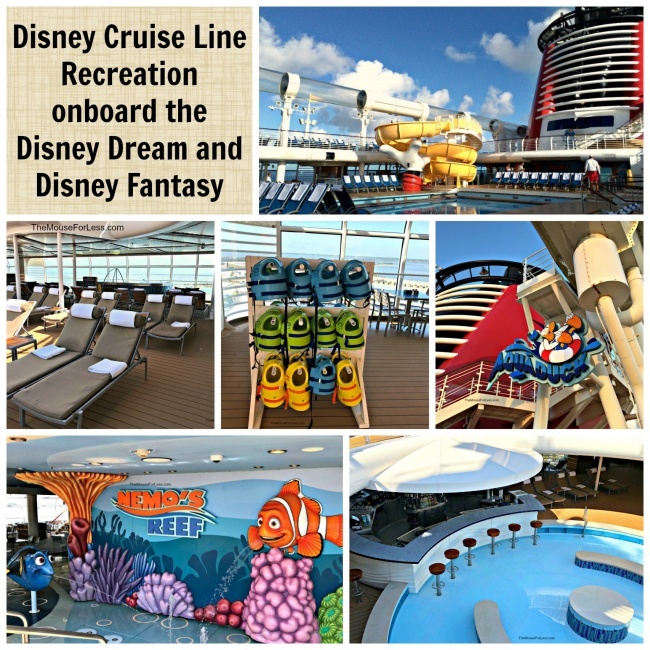 From splash zones for toddlers to adult-only pools and spas, Disney Cruise Line Recreation has areas and activities that appeal to all ages. 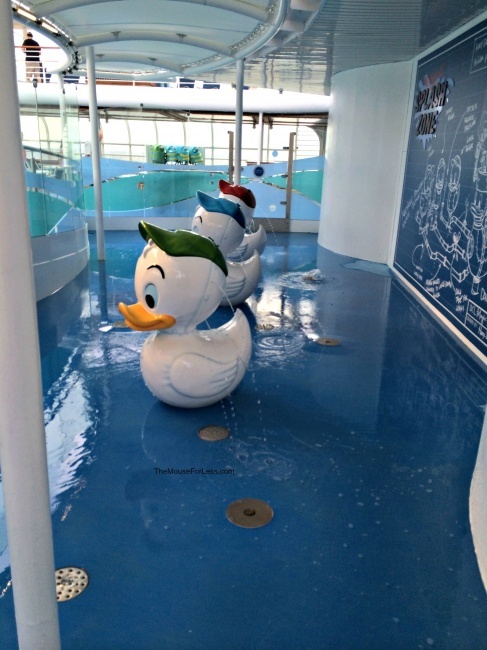 AquaLab – (Disney Fantasy only) Play with water “experiments” created by Donald Duck’s nephews (Huey, Dewey, and Louie). 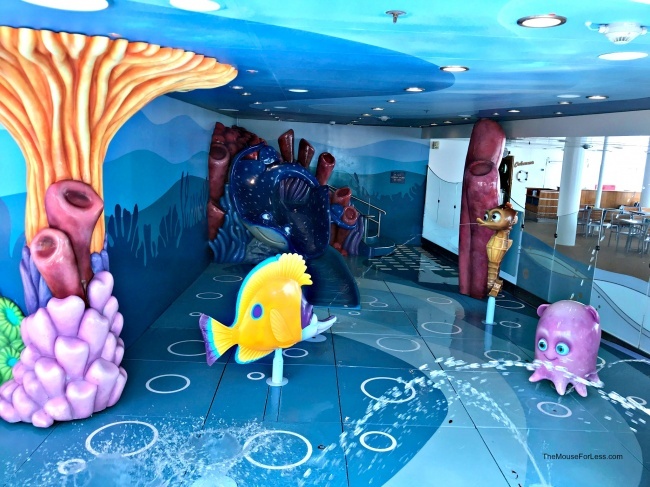 This is a 1,800 square-foot area created to amuse young guests and their families as they splash in geysers, pop jets, bubblers, and other fun interactive elements. Donald’s Pool – Donald’s Pool is the family pool, and it has Donald Duck smiling on the pool bottom. Donald’s Pool has a maximum depth of 5 feet and is surrounded by deck chairs available on a first-come, first-served basis. 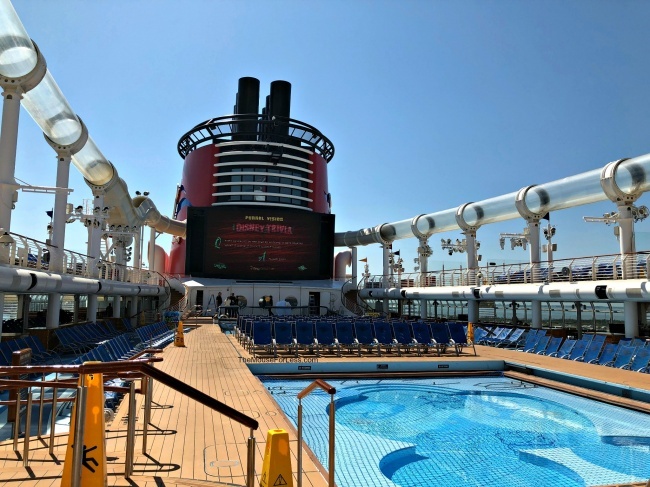 There is a large screen above Donald’s Pool on the Forward Funnel where classic Disney animated features or live-action movies are shown. 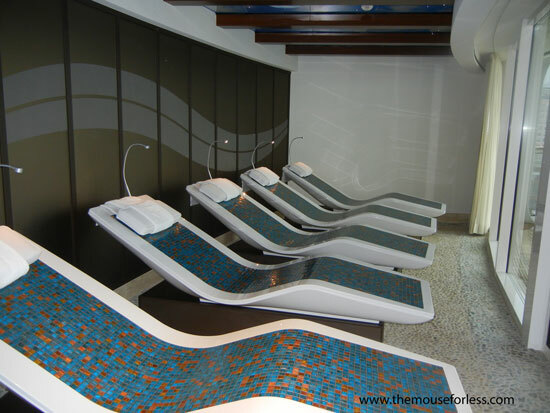 Also, there is a floor that automatically slides out and covers Donald’s Pool and Mickey’s Pool during deck parties to give more space for guests to enjoy the party. Mickey’s Pool – Mickey’s Pool is shaped like Mickey’s head and is painted to look like Mickey’s smiling face is looking up from the bottom of the pool. At only 2 feet deep, this pool is designed for children. 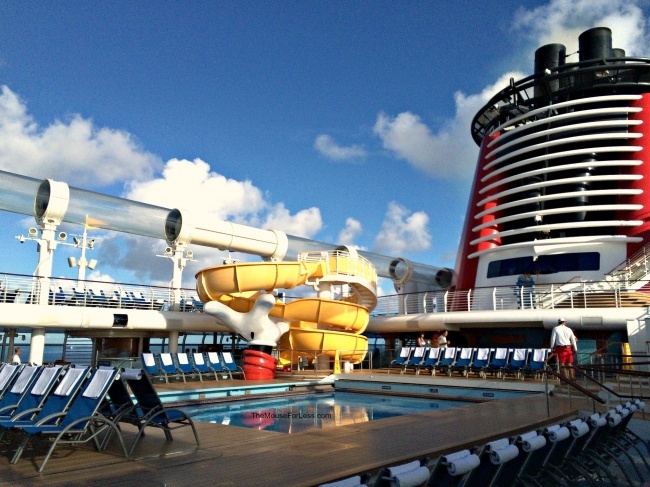 There is even a yellow water slide just for kids, and it is held up by an enormous Mickey Mouse hand. To ride on the water slide, each child must have a minimum height of 3 feet 2 inches, and the maximum height is 5 feet 4 inches. 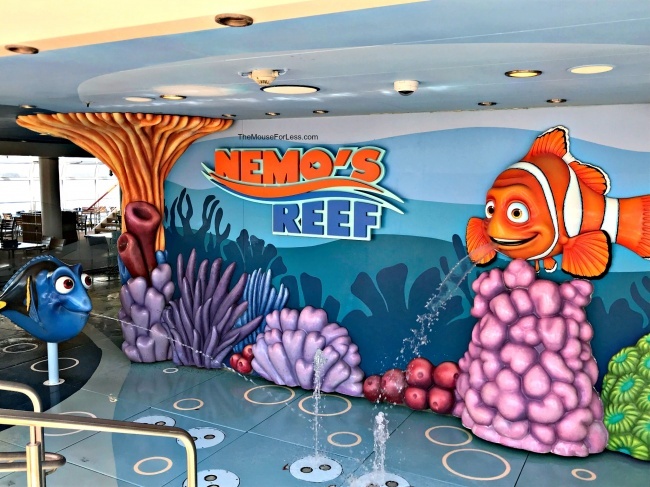 Nemo’s Reef – Nemo’s Reef is a 1,500 square foot interactive water play area for children 8 years of age and younger. In this shaded area, figures representing characters from Finding Nemo move and spray water. There is a small water slide shaped like Mr. Ray and a water curtain that represents the East Australian Current by moving back and forth. Quiet Cove Pool – The Quiet Cove Pool is just for guests age 18 and over, so this is a good option for guests looking for an area away from the kids. This pool is located near the Cove Bar and consists of a 4 foot plunge pool and a 6 inch deep sunbathing pool. 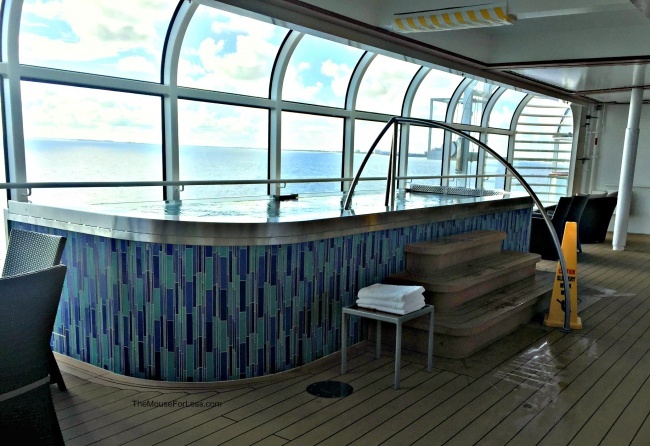 There is a jetted hot tub close by that has views of the ocean, and poolside massages can be reserved. 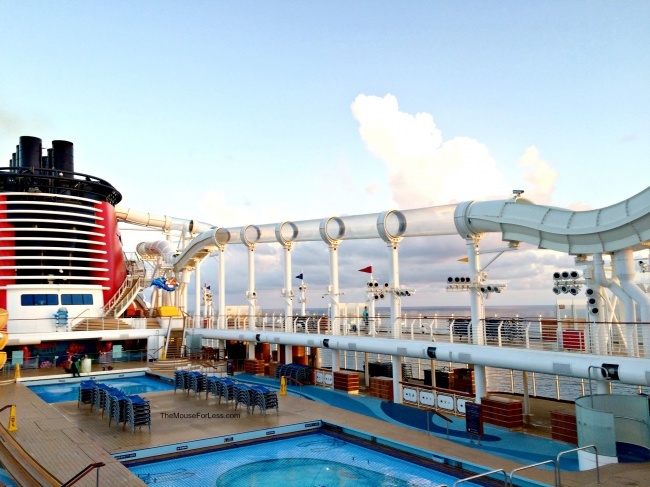 Satellite Falls – (Disney Fantasy only) Satellite Falls is a circular splash pool with a gently falling rain curtain. This area is for adults 18 years of age and older. 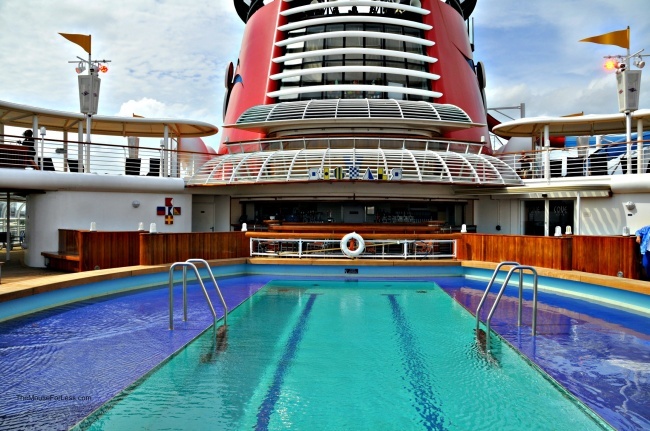 Wading Pool – (Disney Fantasy only) The Wading Pool has a fountain water feature and is available for guests of all ages. There are shaded lounge chairs here, so it might be a good place to relax while the kids are playing at AquaLab. Fitness Center – The Fitness Center is a full-service exercise facility with a breathtaking view of the ocean. In addition to exercise equipment, the Fitness Center has instructional classes (aerobics, yoga, Pilates) and personal training sessions (additional fee). 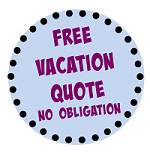 Reservations for instructional classes, seminars, and one-on-one training sessions can be set up any time after 1:00 pm on the first day of the cruise. 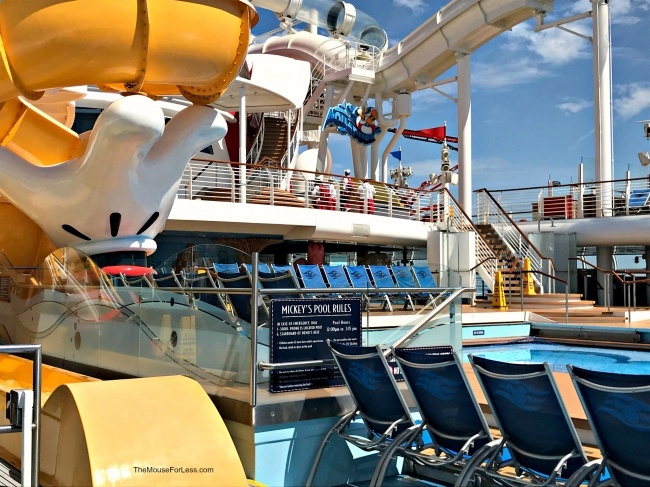 Goofy’s Sports Deck – Goofy’s Sports Deck is an outdoor activity area for guests of all ages. 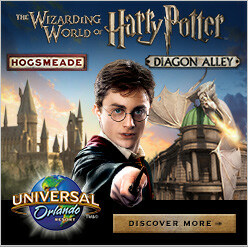 There are several fun activities that can be found here: miniature golf course (as only Goofy could plan it), virtual sports simulators, a basketball/volleyball court, ping pong, foosball, and a walking track. 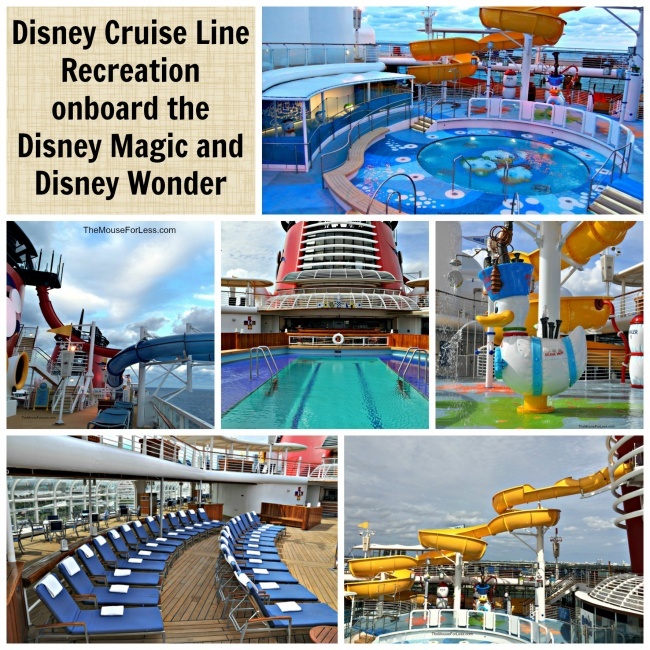 This area is used for a variety of Disney Cruise Line Recreation activities. Virtual Sports Simulators – Virtual sports simulators are available at Goofy’s Sports Deck. There are several sports that can be played on the simulators: basketball, football, hockey, golf, soccer, and baseball. There is an additional charge that is based on which sport you choose. 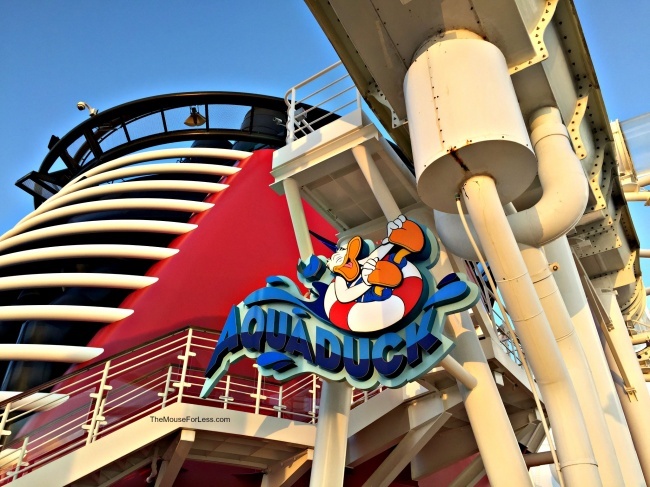 AquaDunk – (Disney Magic) The AquaDunk is a new waterslide that begins with a near-vertical launch. 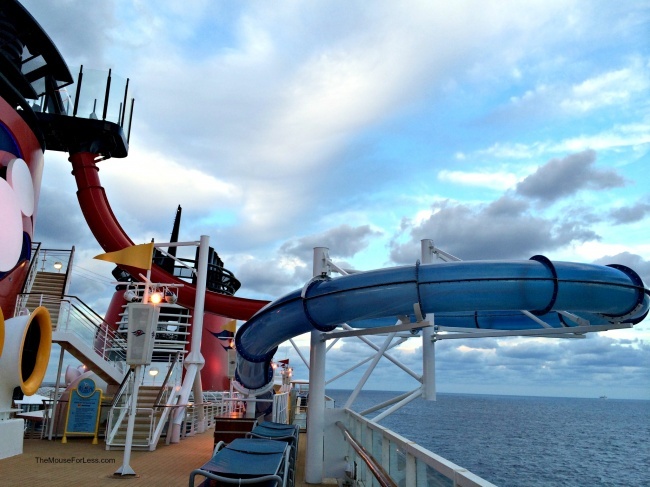 It is a 3-story, translucent slide that extends over the side of the ship by 20 feet. Guests must be taller than 48 inches to experience the AquaDunk. 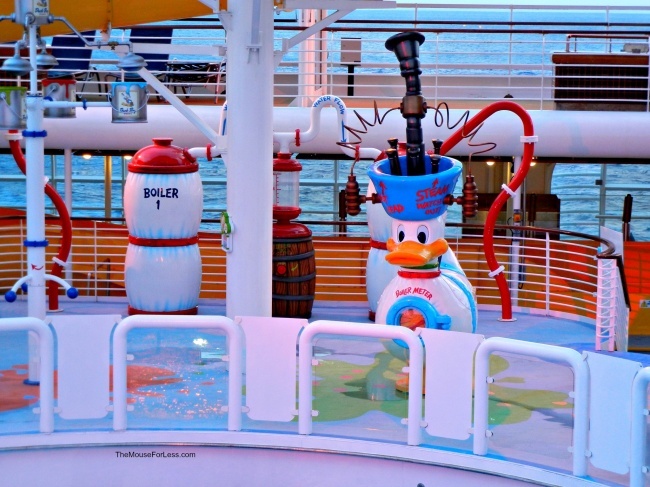 Goofy’s Pool– Goofy’s Pool is the family pool on the Disney Magic and Disney Wonder. Goofy shows through from the bottom of this maximum 4 foot-depth pool. 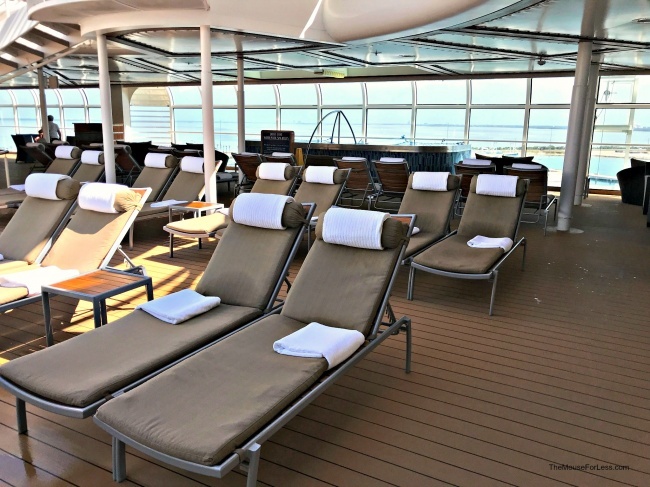 There are 2 whirlpool spas nearby, and there are deck chairs available on a first-come, first-served basis. 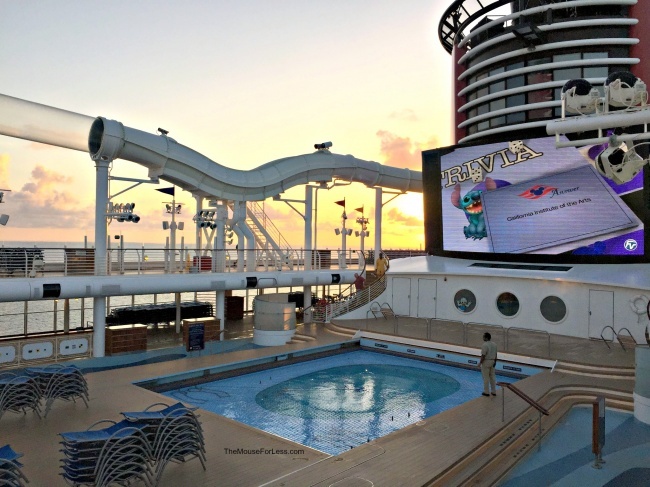 Visible from Goofy’s Pool is a jumbo screen affixed to the Forward Funnel (Funnel Vision). Disney animated classics, live action movies, and other programing can be seen on this screen. 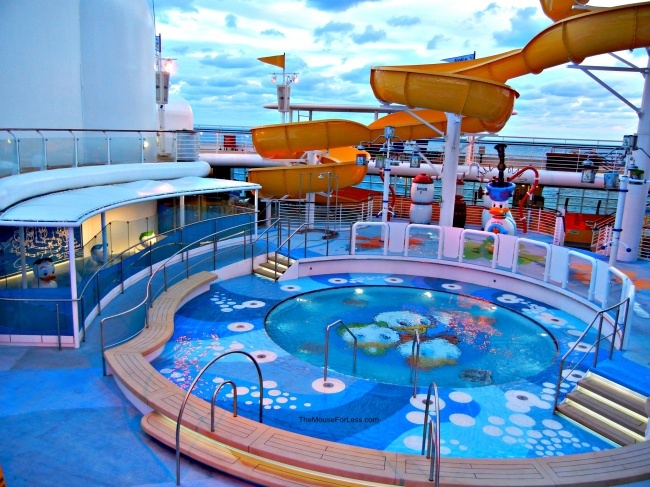 Mickey’s Splash Zone – This water play space is adjacent to Mickey’s Pool. Designed to look like Mickey’s Sorcerer hat, this toddler pool has star-shaped and moon-shaped interactive fountains and splash areas. This area is for children who are not yet toilet-trained and must wear swim diapers. 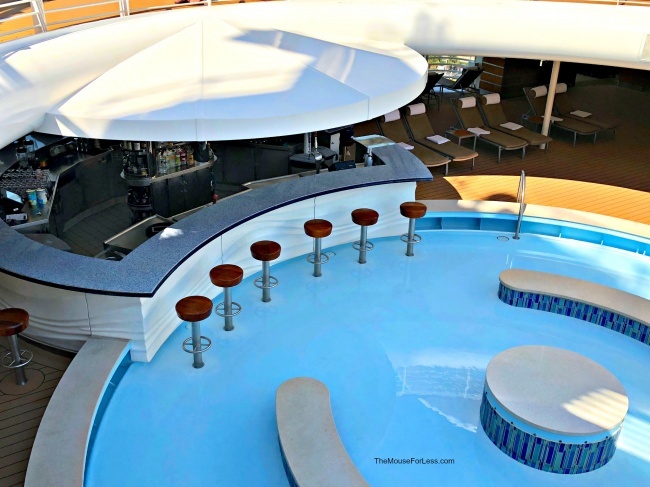 Quiet Cove Pool – Looking for some relaxation away from the kids? 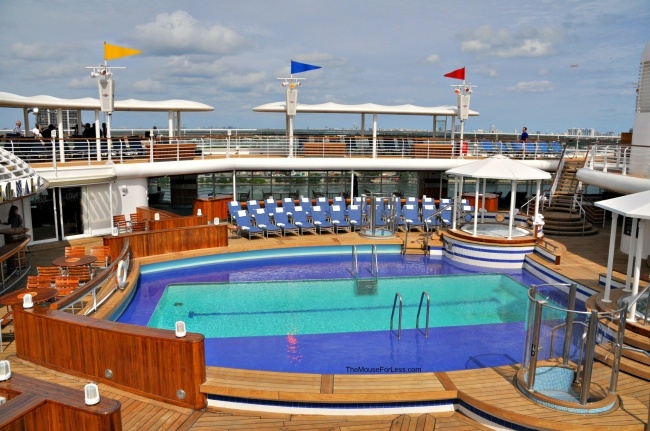 The Quiet Cove Pool is an adults-only space. 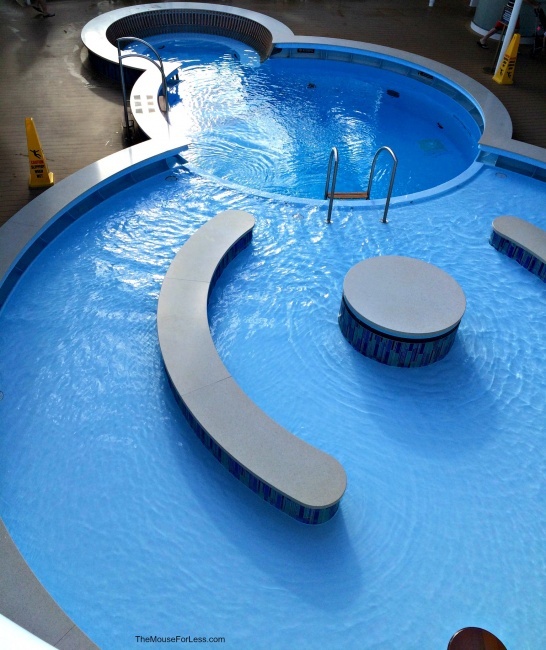 This pool is 4 feet deep, and there are 2 whirlpools spas nearby. 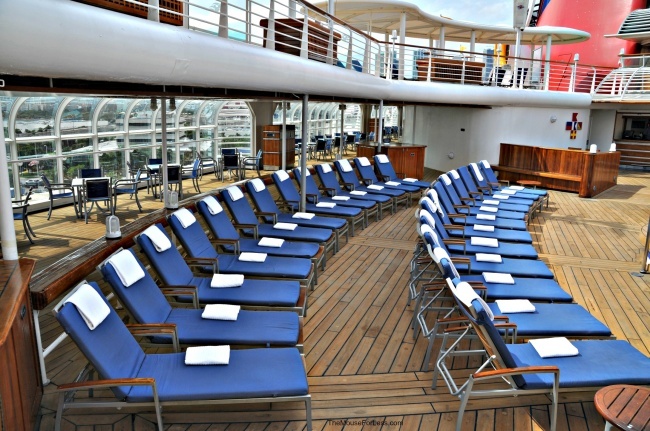 This area has about 40 teak deck chairs with plush cushions, and they are available on a first-come, first-served basis. AquaLab – The AquaLab is an interactive water playground that is for children ages 3 and older. It is a 1,800 square-foot space filled with pop jets, geysers, and bubblers. There is also a water slide named the Twist ‘n’ Spout that is more than 250 feet of fun sliding through loops and turns. 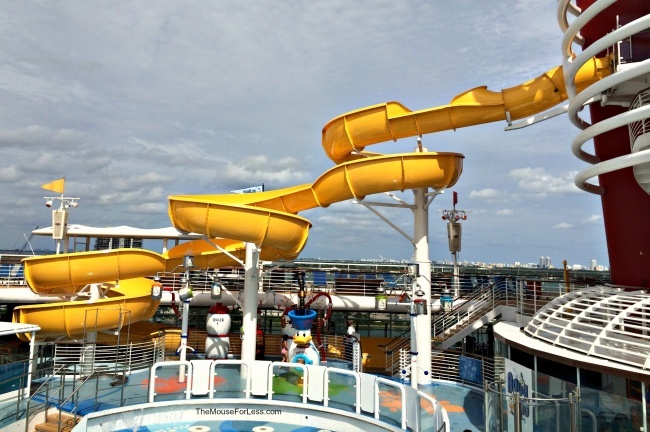 The Twist ‘n’ Spout water slide is for guests who are between 38 and 64 inches tall. 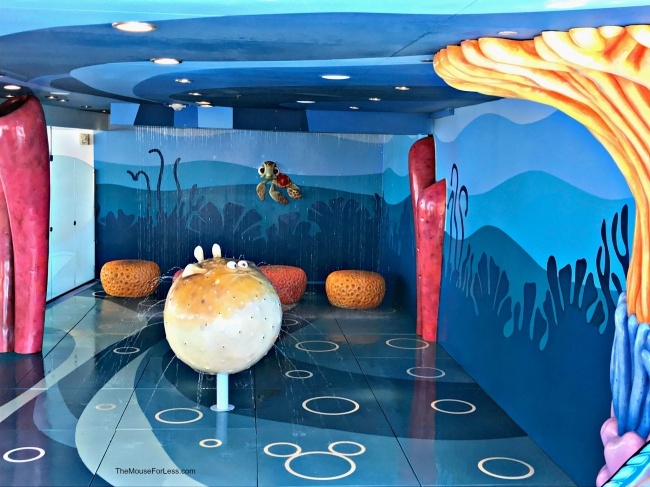 Nephews’ Splash Zone– (Disney Magic) The Nephews’ Splash Zone is a splashing interactive fun space, starring Donald Duck’s nephews (Huey, Dewey, and Louie). 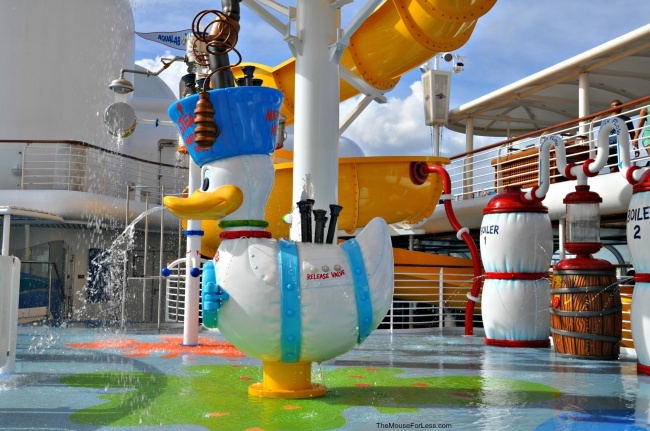 This area is full of water play with pop jets and squirting figures of Donald Duck’s nephews. Fitness Center – The Fitness center is a state-of-the-art exercise facility that is for adults only and allows the guest to exercise while watching the breathtaking view of the ocean. The Fitness Center is a part of the Vista Spa & Salon. Besides weights and cardiovascular equipment, there are also exercise classes (yoga, aerobics, and Pilates), and guests can schedule a one-on-one training session (additional cost). 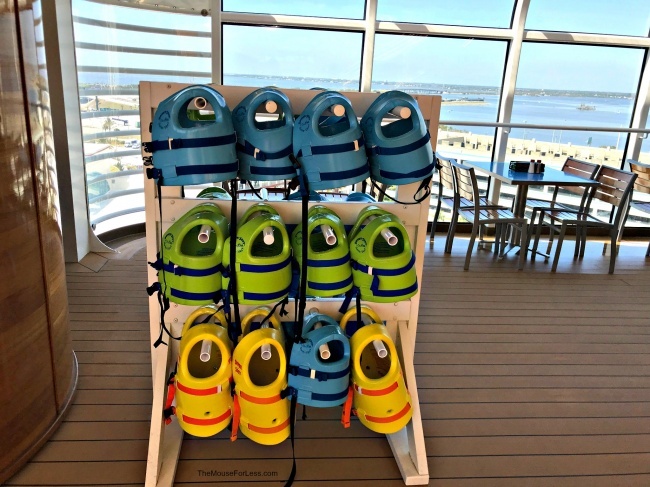 Reservations for instructional classes and one-on-one training sessions can be set up any time after 1:00 pm on the first day of the cruise. There is also an open-air walking/jogging track that is approximately 1/3 mile long. Wide World of Sports – The Wide World of Sports area is a large open-air space with basketball and volleyball courts. 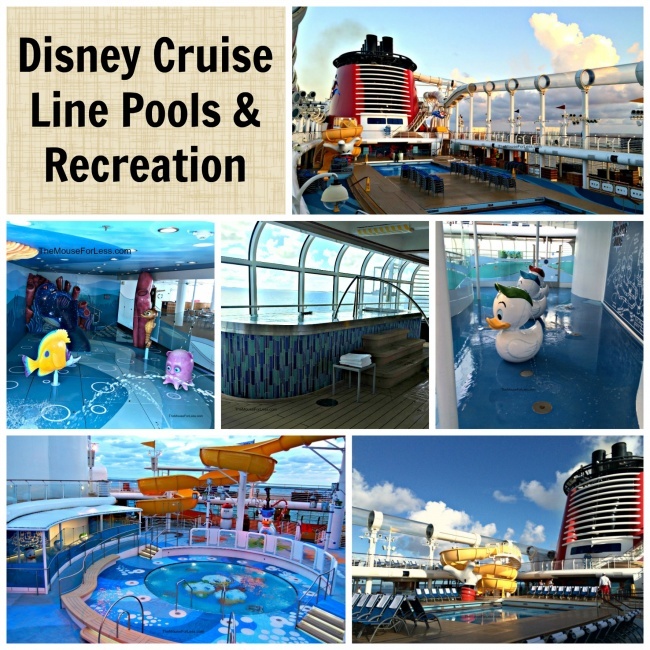 This area is used for a variety of Disney Cruise Line Recreation activities.